Four Ballets by John Neumeier: The Little Mermaid / Die kleine Meerjungfrau, Tatiana, Weihnachtsoratorium / Christmas Oratorio and Nijinsky.“Neumeier´s place in the ballet world is as singular as his interpretation of the tale.” (San Francisco Chronicle about The Little Mermaid) “Once again it is impossible not to be impressed by the flawless technique of the ensemble … When at the end Lloyd Riggins tap-dances his way across the stage like Fred Astaire, the Christmas Oratorio is complete.” (Süddeutsche Zeitung) “Nearly nobody else besides John Neumeier can tell stories with the bodies of his dancers. Tatiana is three hours of danced poetry.” (Hamburger Morgenpost) "Nijinsky – an inexhaustible topic. Where to begin, where to end?" 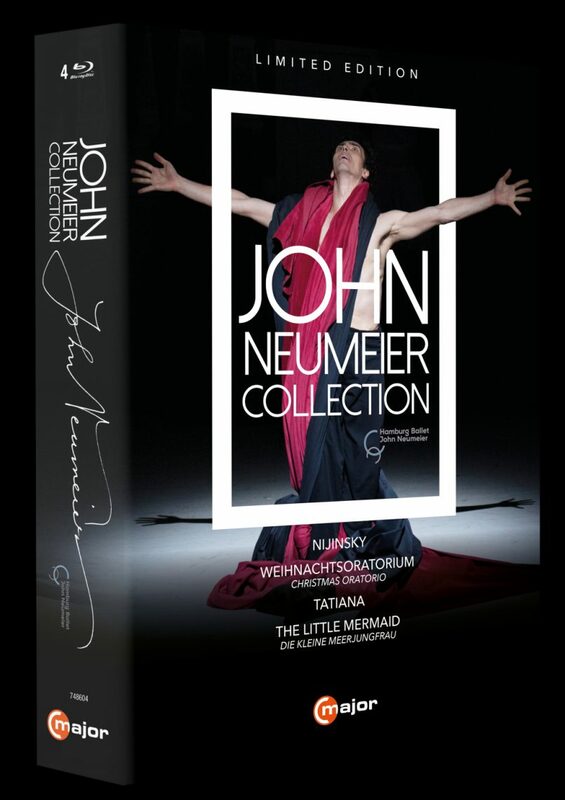 (John Neumeier) John Neumeier, the artistic director and chief choreographer of the Hamburg Ballet and the longest serving artistic director in the world, will celebrate his 80th birthday on February 24th, 2019.